7. 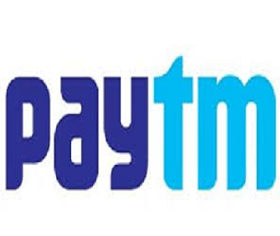 Flat 100% upto Rs.125 cashback will credited in your Paytm wallet within 24 hours. 9. This cashback offer is being extended by One97 communications limited for using ‘Paytm Payments’ on marketplace, run and operated by Paytm E-Commerce Private Limited. It can be used to pay for anything on merchants accepting ‘Paytm Payments’ platform.